Wendell Co-hosted the 2005 CCMA Awards show with Paul Brandt. The show was just nominated for a 'Genie Award. Wendell has won the CCMA's Guitarist of the year for 2000-2001 ! 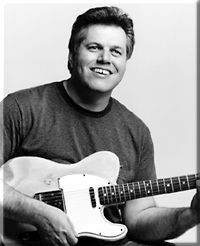 Wendell has won the Canadian Country Music Associations' "Guitar Player of the Year" 1995-'96-'97-'98-'99. Was nominated for the CCMA"Vocal Collaboration of the Year " for the duet with Prairie Oysters' Russell deCarle for "If You're Gonna Be A Cowboy" in 1999. Was nominated for a Juno award for "Country Duo or Group" in 1995 with "Coda the West"
Has backed up "country" artists such as; George Fox, Duane Steele, Shania Twain, Lisa Brokop, Michelle Wright, Tommy Hunter, Al Cherney, Deana Carter, Tracy Byrd, Mila Mason, Chely Wright, Matraca Berg, The Dixie Chicks, The Arrogant Worms, Jason McCoy, and countless more. Has recorded with - Duane Steele, Gil Grand, George Fox, Coda The West , Kelita, Quartette, Cindy Church, Murry McLauchlan, Bob Snider, Katherine Wheatley, Gordon Lightfoot, Don Freed, Jane Siberry, James Keelaghan, Bill Candy and many more. Can be seen touring the country with Duane Steele, Quartette, Katherine Wheatley , Cindy Church or under his own name.